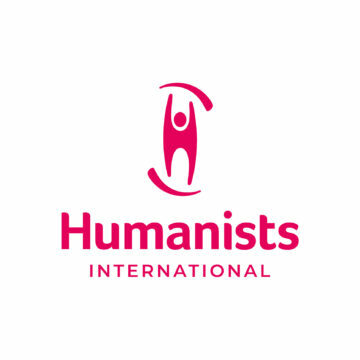 The International Humanist and Ethical Union (IHEU) organized the first screening in continental Europe of the film, Honor Diaries, in order to help highlight the widespread violence that women suffer around the world in the name of “honour”. 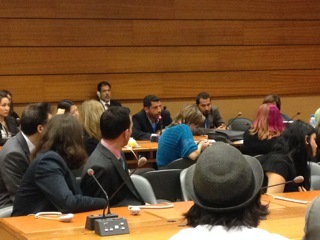 A short of the film was screened at the UN Human Rights Council this week—with IHEU in association with the US Center for Inquiry (CFI) and the British Humanist Association (BHA)—in order to help raise awareness of the number of women subjected to honour violence and the nature of that violence, and to foster further discussion at the UN. Honor Diaries gives a platform to exclusively female voices and seeks to expose the paralyzing political correctness that prevents many from identifying, understanding and addressing this international human rights disaster. The UN has estimated that 5,000 women are murdered by family members each year in “honour killings” but according to women’s advocacy groups the figure could be around 20,000. The film Honor Diaries has been shown across North America and in the UK, but IHEU’s screening was the first time it was taken to continental Europe. 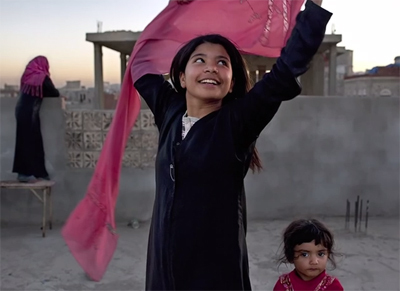 The screening was followed by an enthusiastic and positive panel discussion between different actors and experts within the field, and the film’s producer, Paula Kweskin, and one of the women featured in the film, as well as a CFI delegate to the UN, Raheel Raza. The need to keep on pushing in forums such as the UN Human Rights Council and support civil society in their attempts to combat honour violence and protect women was echoed by all. The role of education was also emphasized by a number of participants, both for women to understand their rights and for societies to question the notion of honour as a tool to legitimize abuse and violence against women. The example of Malala Yousafzai was mentioned to give context to the difficulty that females can face in gaining an education, and the reason for why so many women remain silent on these issues. Raheel Raza, noted the problematic overlap between culture and religion and emphasized the need for more religious representatives to condemn honour-based violence and to reinforce the idea that such violence is not required by the religious code. She urged the silent majority to speak out on the issue. A representative from the South Sudanese Lawyer’s society argued that more men need to be involved in the campaign against honour violence. A Women’s International Peace and Freedom representative highlighted the dangers of initiatives at the UN Human Rights Council on the protection of the family; she argued that when the family is both the recipient and the defender of honour, resolutions that protect and prioritise the family unit make it much more difficult to look into the issues that take place within it. Overall, the screening and panel discussion helped raise further awareness of the abhorrent worldwide abuse of women in the name of honour, and contributed to better engagement with many actors and experts already within the field. Your can organise a screening of the film yourself, by consulting the Honor Diaries website for details and read the film producer’s blog on the event: “The Sky’s the Limit”. Along with screening the film, IHEU also submitted a written statement to the UN on Honour-Based violence against women. Download the PDF of our statement: “Global violence against women in the name of honour”.